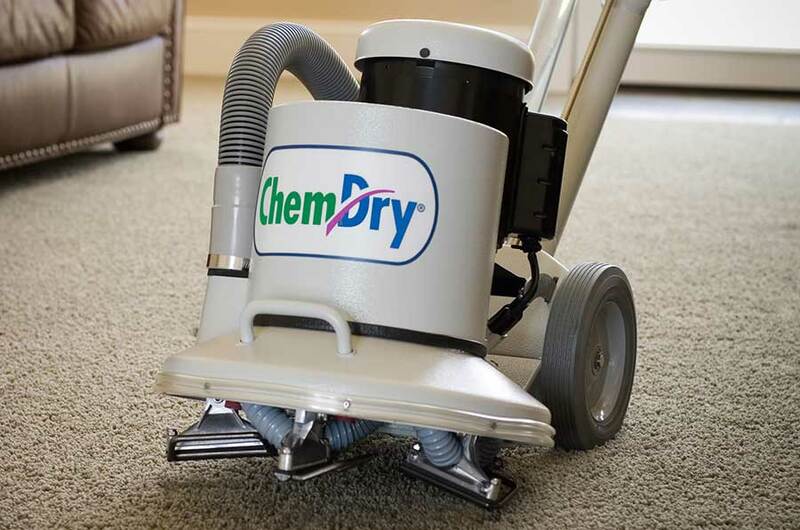 Chem-Dry’s unique approach to carpet cleaning provides you and your family with a better overall cleaning experience in your home. Precision Chem-Dry uses the power of carbonation to extract more dirt and soil from your carpets, giving them a deeper clean. Our carpet cleaning service goes deep into your carpet where the dirt and soil sits, and lifts it gently to the surface, where we whisk it away. In addition, our carbonated cleaning substances only require a fraction of water compared to traditional steam cleaning. Because of this, your carpets will dry quicker and you won’t have mold and mildew growing underneath them. 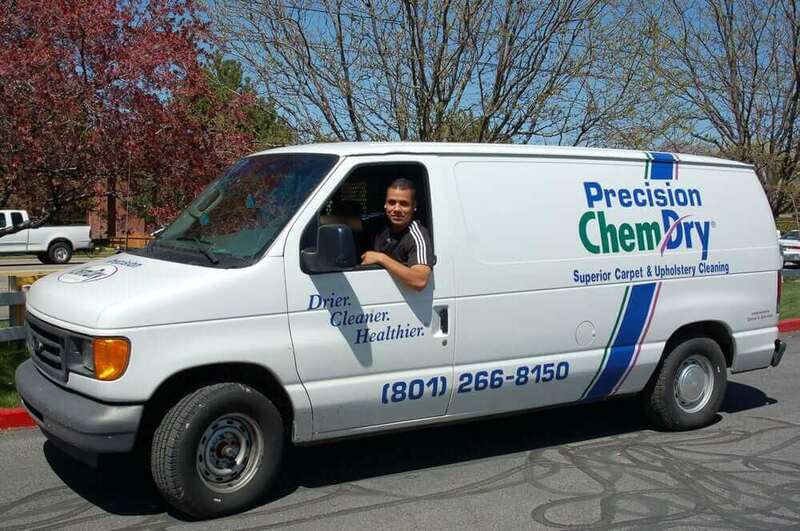 Precision Chem-Dry is a one of the leading carpet cleaners in Salt Lake City and the surrounding areas. Watch this short video to learn more about our unique carpet cleaning process. Chem-Dry’s signature cleaning solution, The Natural®, is a specially-designed mixture that uses the power of carbonation. It lifts dirt to the surface of your carpet, where it is handled with ease. This unique approach to carpet cleaning gives you the most thorough clean as opposed to simply cleaning only the surface of your carpets. Plus, there’s no dirt-attracting soap residue that’s left behind. This means that your carpets stay cleaner for longer, because the dirt won’t cling to your carpets. The Natural is non-toxic and ideal for homes with kids and pets, and it recently received the Green Certification. Juan’s Chem-Dry is the most hardworking and humbled carpet cleaning company I have experienced. I am always impressed by the amazing finished product. Juan’s Precision Chem-Dry always accommodates my time and needs, and never fails to get the job done. He is extremely honest and reasonably price. I am so happy to have been doing business with him for six years now. Our deep and healthy carpet cleaning service will exceed all of your expectations. Precision Chem-Dry is preferred by customers and carpet cleaning professionals alike. The Carpet and Rug Institute (CRI) designated Chem-Dry as a company deserving the CRI Seal of Approval for the innovative and unique Hot Carbonating System. This program identifies effective carpet cleaning solutions and equipment that cleans carpet right the first time. Our products help to protect a home or commercial facility’s carpet investment. The blue and green CRI Seal of Approval is proof that you are investing in a quality service. This all adds up to a safer carpet cleaning that is healthier for you, your family and your home. Our deep and healthy carpet cleaning service will exceed all of your expectations. Chem-Dry is preferred by customers and professionals alike. The Carpet and Rug Institute (CRI) designated Chem-Dry as a company deserving the CRI Seal of Approval for the innovative and unique Hot Carbonating System. This program identifies effective carpet cleaning solutions and equipment that cleans carpet right the first time. Our products help to protect a home or commercial facility’s carpet investment. The blue and green CRI Seal of Approval is proof that you are investing in a quality service. This all adds up to a safer carpet cleaning that is healthier for you, your family and your home.